After a long day of playing outside or chasing down balls from an automatic ball launcher, your pet will want a comfortable and cozy place to relax. 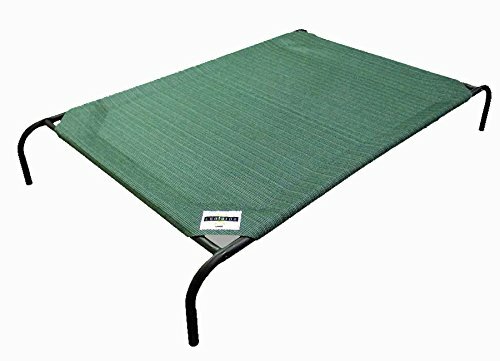 The outdoor dog bed is a great way to give your dog a chance to chill out while still enjoying fresh air and sunshine. 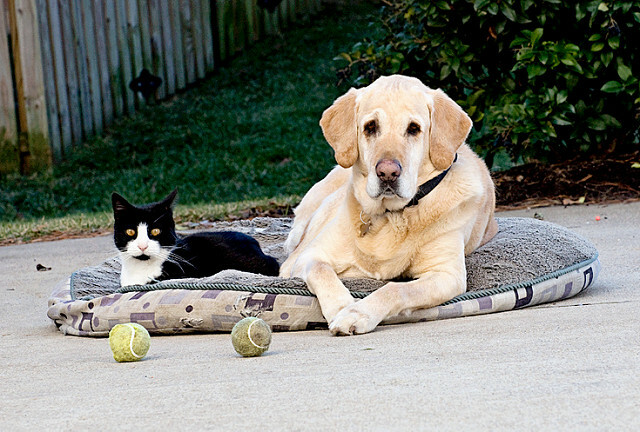 The best outdoor dog beds come in all styles and designs. They range from basic cot-style beds made from simple fabric costing only around $30, all the way to upscale models costing over $200 that feature a wicker shade roof and thick cushion pillow. There are even heated beds that keep dogs warm while they lie on it! Take a look at our guide to the top outdoor dog beds on the market, covering beds for various-sized breeds, waterproof beds, and all-weather beds. As always, use of the term “best” is meant only to reflect our staff’s personal opinion based on research and personal use. Do your own comparison shopping to find the dog bed that works best for your canine friend and your living situation. 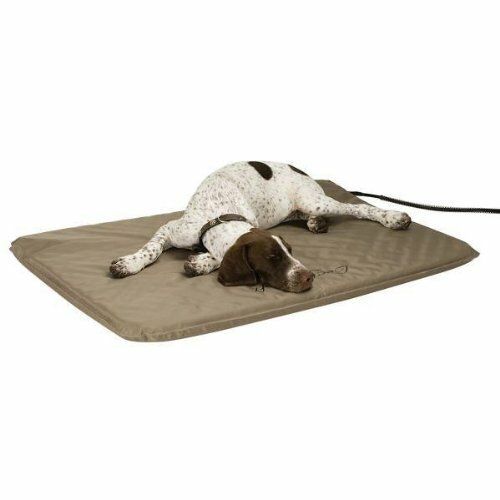 If you live in a part of the country where you have to be concerned about cold temperatures at night, take a look at one of the coolest dog products we’ve come across: The K&H Lectro-Soft Heated Bed! At its name implies, the Lectro-Soft Heated Bed is an orthopedic foam bed with a heating element. When no one is sitting on the bed, it stays just over room temperature. 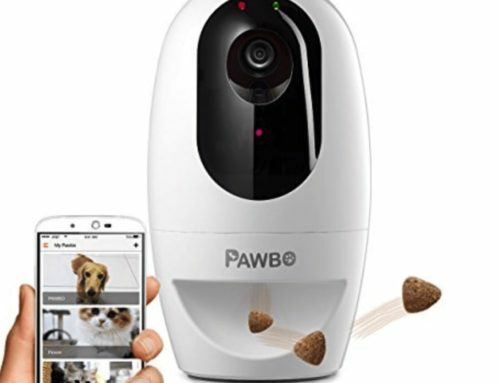 But when your pooch lies down, it turns on and uses a 40-watt heating sensor to warm the bed to match your dog’s temperature. The cord is a little more than five feet long, so you will have to make sure to have an outlet (or an extension cord) nearby. The cord itself is steel-wrapped for protection, but the company does warn that pet owners with dogs who like to chew cords probably shouldn’t purchase this item. 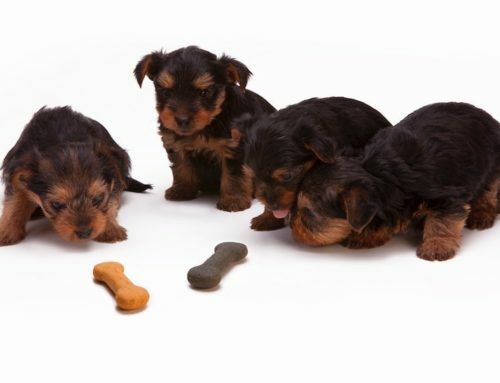 The Lectro-Soft comes in small, medium, and large sizes so every dog can use it. The bed is made of waterproof PVC material, though it is not meant to be exposed to direct rain. You’ll want to cover it or bring it inside when it rains. Or, just keep the bed under a porch or in a dog house. The bed also comes with a free fleece cover that is removable and washable. Always looking to keep your pet warm and comfortable, K&H also makes a heated water bowl! If you like to pamper your pup, look no further – you’ve found the ultimate in relaxation, comfort, and style. Just look at how cool these dogs look in the Chaise Lounger by The Refined Canine! Made from a sturdy poly rattan material, the lounger works great on the patio, in the yard next to the garden, or on the deck next to the pool. The canopy provides sufficient shade, but depending on the angle of the sun, you may have to adjust the direction of the bed as the day wears on. The outdoor cushion is six inches thick and machine washable, so it’s easy to keep clean. The bed does not come assembled, but it’s fairly easy to put together. The Chaise Lounger is on the pricey side, so you’ll need to shell out a bit of cash for it. But if you want to give your pet a chic life of outdoor luxury, The Refined Canine is definitely the bed for you. Cot-style pet beds are popular among large breeds that need more space to spread out, as well as breeds with heavier coats that can easily overheat. The Coolaroo elevated bed looks pretty simple, but there’s a reason it ranks as one of the top sellers on Amazon year after year. The bed comes in three sizes, and for large breeds we recommend the large size bed. This model covers 51 by 31 inches and can support dogs that weigh up to 100 pounds. Only a super-sized mammoth canine would not fit on this bed! Dogs of all types seem to love the Coolaroo, finding it super comfortable despite its basic appearance. To satisfy the fashionable dog owners among us, the bed currently comes in four colors: green, grey, nutmeg, and terracotta. The fabric is knitted mesh, which allows cool air to pass through it. For that reason, this bed is ideal for thick-haired breeds or for summertime use when the weather is comfortable but not cold. If you live in a colder climate, simply bring the bed indoors during the winter. It’s difficult to find truly waterproof outdoor dog beds. Many beds labeled waterproof are in fact water-resistant, meaning that they repel some water, but not heavier rain or “accidents.” One of the better models we’ve seen when it comes to the waterproof factor is the Better World Pets 5” thick orthopedic bed. This bed is extremely comfortable, thanks to its thick foam filling that doesn’t flatten out over time. It’s especially useful for senior dogs or those with joint or muscle issues. 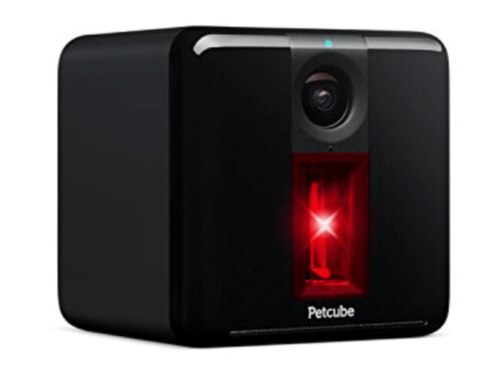 It comes in three sizes to accommodate all sizes of animals. The company notes that the top and sides of its cover are waterproof, and the bottom of the interior foam mattress is also waterproof. So you won’t be able to submerge the bed in a swimming pool, but for moderate amounts of water, the bed will hold up. 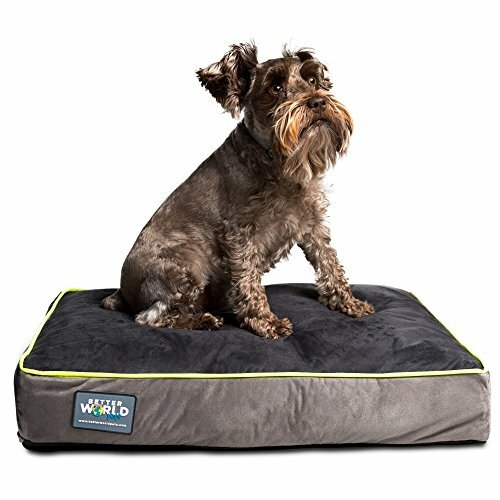 Two additional pluses: Better World Pets says that it donates 10% of its profits from the bed to the Humane Society of the United States, and they say that buyers who are not satisfied can return the product for a full refund any time within the first year. Here’s a clip from Coolaroo that shows how to put together the elevated pet cot. As you can see, some assembly is required, but it doesn’t take more than a few minutes. 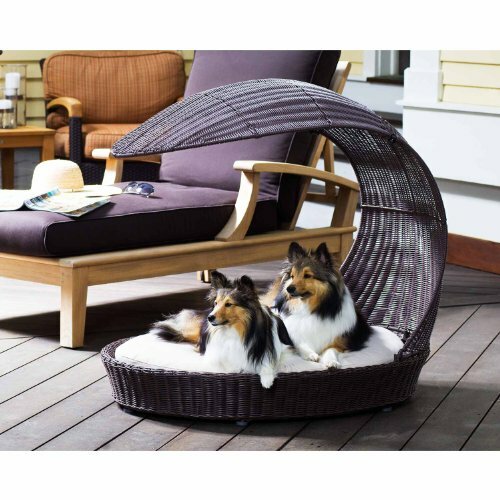 Not every dog is meant to sleep or rest outdoors, but if you have the space for one of these outdoor dog beds, chances are one of these models will make your puppy’s life a lot more rested and comfortable once they’re done using their fetch machine.